… the fact that he [Mladic] is jailed and on trial is seen as another victory for international justice and hailed by observers as evidence that — more often than not — war crimes tribunals get their indicted suspects, even if years later. This is a very optimistic and strong statement regarding the current state of international justice. Is the reason for optimism justified? I absolutely think so. The first conviction of a former head of state for international crimes since the Nuremberg trials: Charles Taylor, Mr. Blood Diamond, was convicted on charges of war crimes and crimes against humanity by the Special Court for Sierra Leone in late April. Milestone verdict on child soldiers and the ICC’s first verdict: Thomas Lubanga Dyilo, a Congolese warlord, was found guilty in March of the war crime of using children in armed conflict. The Mladic trial: 17 years after Srebrenica―infamously known as “Europe’s worst massacre since World War II”―Ratko Mladic had his first day in court on May 16. He faces genocide charges at the International Criminal Tribunal for the former Yugoslavia. Mladic allegedly orchestrated the killing of some 8,000 Bosnian Muslim men and boys in Srebrenica in July 1995. The completion of his trial could mark a milestone for the survivors, who did not see a verdict against Slobodan Milošević (who passed away while on trial in 2006). The unanimous referral by the UN Security Council of the situation in Libya to the ICC. The vote in February 2011 showed a surprising shift in positions when all 15 members―including non-state parties to the ICC such as the United States and Russia―voted in favor of a referral. Now, not everything in the land of international justice is rosy. This becomes most apparent with the current situation in Syria. Despite overwhelming evidence of crimes against humanity and war crimes, no accountability mechanism has been established and impunity is ongoing. The UN Security Council is not even close referring the situation to the ICC. Unfortunately, the decision to hold perpetrators of international crimes accountable becomes a political decision in this case. At the same time, as people around the globe see war criminals brought to justice, they want to see the world’s most powerful armies held accountable as well. Outside the U.S. and Europe, there is a growing sense of a two-tiered system of international justice. The West puts others on trial for war crimes, the argument goes, while exempting its own forces from scrutiny. Still, I believe we should be optimistic and the progress that we have seen over the last few years—with the establishment of the first permanent criminal court and the recent verdicts—should not be underestimated. I hope you’ll remember this posting in the future when you’ll (hopefully) read about the capture of ICC fugitives Joseph Kony or Omar al-Bashir. Please note that this preview is only a first draft. With support from our friends at Development Seed we will have a very detailed site soon, which covers various issues from current ICC cases to data on how much countries are donating to the Trust Fund for Victims. Additionally, there will be opportunities for you to become engaged in the issue and support the global strive for accountability. I wanted to share this work in progress, in order to first and foremost generate some excitement about this upcoming project. Secondly, I am curious to hear your feedback and ideas you might have. Feel free to get in touch with me or leave your thoughts in the comment section. 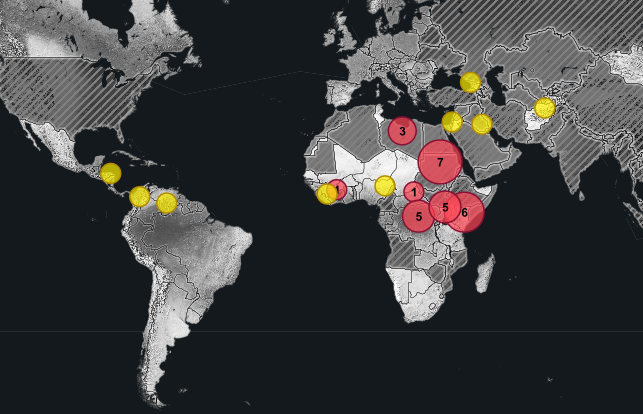 PS: A major shout-out to my colleague James Conkling who produced the current ICC map. This entry was posted in Africa, Children's Rights, Europe, International Justice, United Nations and tagged ICC, International Criminal Court, international law, International Tribunals, Joseph Kony, Omar al-Bashir, Ratko Mladic, Science, Thomas Lubanga Dyilo by Christoph Koettl. Bookmark the permalink. 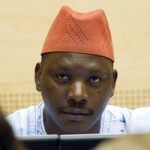 Milestone Verdict on Child Soldiers: Will Kony Be Next? Christoph Koettl is the Emergency Response Manager at Amnesty International USA and works on urgent human rights situations such as armed conflicts. In his work he focuses on exploring the intersection of technology and human rights, specializing in utilizing satellite imagery or citizen video for human rights research and advocacy. He previously worked and studied in Austria, the Netherlands and Italy and holds an MA in International Relations from Johns Hopkins University’s School of Advanced International Studies (SAIS). His expertise is in International Humanitarian Law, conflict analysis, crisis mapping, video validation and social media forensics and he is a regular speaker on technology and human rights. He has testified on war crimes in Sri Lanka before the United States Congress and his work is covered regularly by numerous national and international media, including Associated Press, BBC, CNN, Al Jazeera and Reuters. Really, aren't they mostly just out running?, i.e.a 5k, a 10k, etcetera, etcetera, etcetera. If they are, then why haven't they been caught yet? How much longer do their victims have to wait for justice to be served? War criminals had to be prosecuted as fast as possible. In most of the cases millions of money is spend to protect and prosecute them. They don’t deserve any mercy because they have done enough cruelty to the man kind in their life. But in some incidents the prosecution is done as soon as they caught. The Mladic trial is an example for that.